There is a simple, but interesting way to commit to memory those often tedious bits of information in history like people, places, general chronology. The homeschooling parents of The Classical Historian have taken old card game formats and applied them as new tricks for a tired, old dog called flash cards. These cards are really more than flash cards, but the analogy still holds. 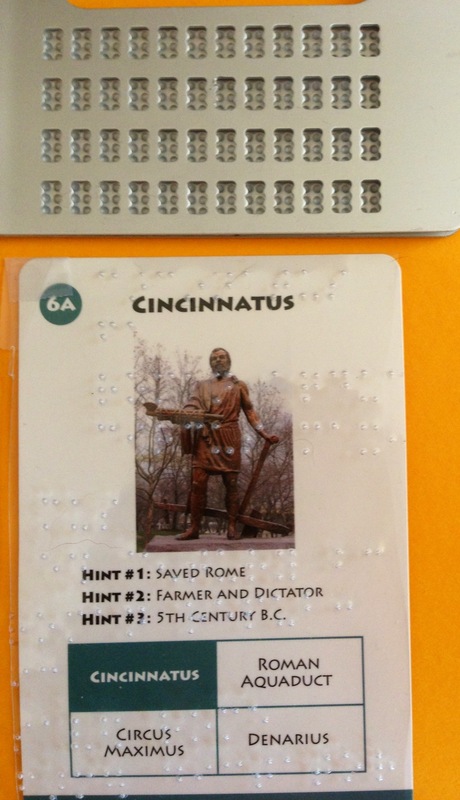 Each card contains the information covered in a chapter or more of a history book in a simple format for seeing and understanding while giving the freedom to do several game formats to spice up learning with fun and make remembering the facts easier. 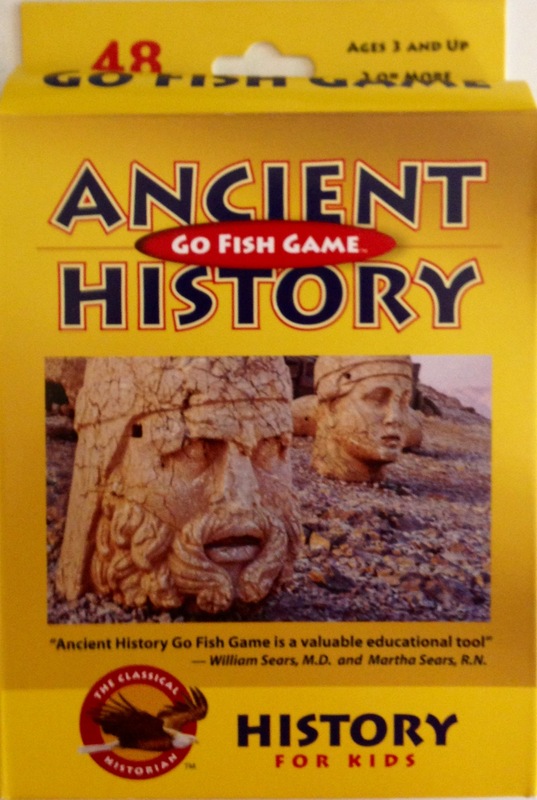 The four card games that The Classical Historian brings to you with their set is Go Fish, Collect the Cards, Chronology, and Continents. With the simplest, Collect the Cards, the student will get familiar with pronouncing the name, repeat visually seeing the spelling, picture, and simple facts including category, and a time frame code. Simply asking for the names of cards to complete their set of four of a kind, the student is practicing memory skills. The other three games reinforces memory of facts, time, and place about each card in the deck. Two of the games which are played against a clock can even be played alone, if required, by trying to improve their own personal best at placing cards in the proper time order or under the correct continent the cards were found. Whether alone or in a group, the games are as fun as the original games, but teach even more now. You may be wondering how I played such a game designed for typical people meaning hearing and sighted. Well, my husband told me in fingerspelling what was on each card and even where (I used to see, so I understand visual placement). Using that information, I brailled a piece of clear plastic for each card. I did this in using a regular braille slate and stylus. 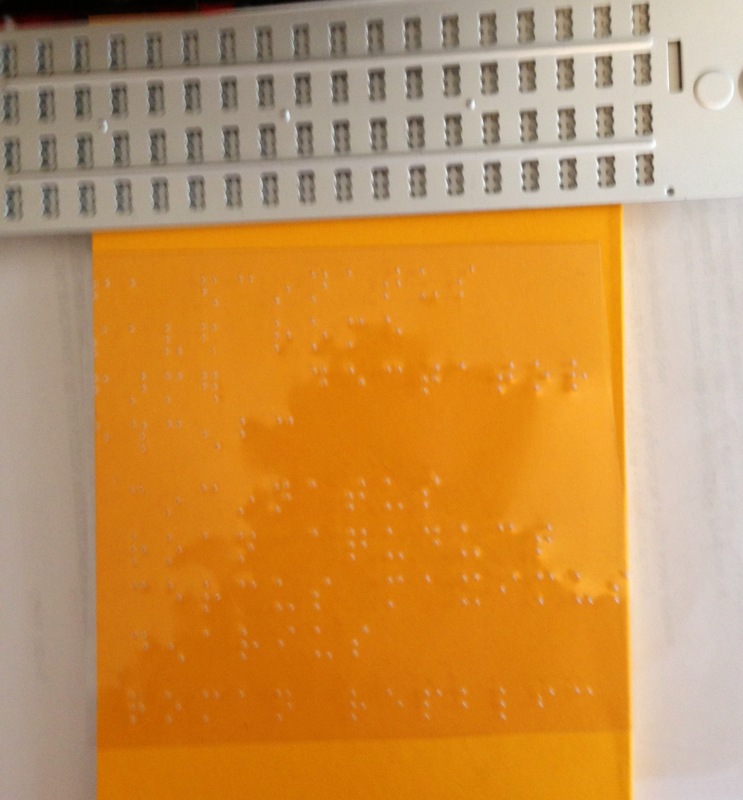 For example, I also used a larger sheet of plastic to braille a separate “card” using jumbo braille as some older or younger students might need. The sheets are bigger in jumbo braille, of course, but for a blind child or adult playing with children, it is still quite usable. Yes, it can take some time to braille all these cards in either size, but the joy of playing a game and especially a learning game is worth the effort. 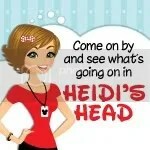 I have lots of games that I still play with my husband that we have tactiled in various ways. Sometimes, we may even have to modify play slightly, but it doesn’t prevent us from enjoying the game or our quality time together. Be open and creative. It is worth the effort. The Classical Historian sells the card games in three categories: Ancient History, Medieval History, and American History. You will also find on their website, classicalhistorian.com, A Memory game format covering these categories and other curriculum resources. The Go Fish card games are $11.95 each. You will find there is replay value (fun to play again and again) in the games, and the game cards are very durable which makes them worth the price. Apologia’s How Do We Know God is Really There? Just how are we supposed to answer such big questions from children when they are big questions with no visible, concrete answers even for us? That is especially difficult when you know a lot rides on that answer. One such question is about the existence of God? How do we know God is Really There? 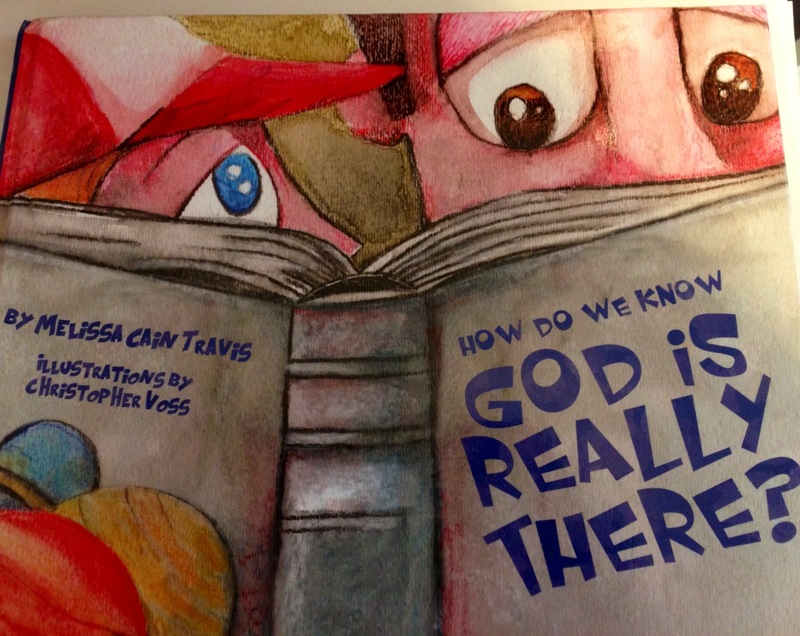 is a book by Melissa Cain Travis and illustrated by Christopher Voss and published by Apologia that might get you started with your little ones and maybe, even firm the debate dialogue in your own mind. The story is a simple plot that plays out in many bedrooms, kitchens, backyards, and yes, treehouses over and over. A mother and child or a father and child playing and learning together when a child suddenly asks that question that makes our mind jerk to a halt and releases the feelings of inadequacy and even a little fear as the questions of our own spill into our mind. What? How did we get here now? How can I possibly explain this to him when I can’t always put words to this myself? How do I tell her that I just know God exists because I see Him everywhere when He is invisible? 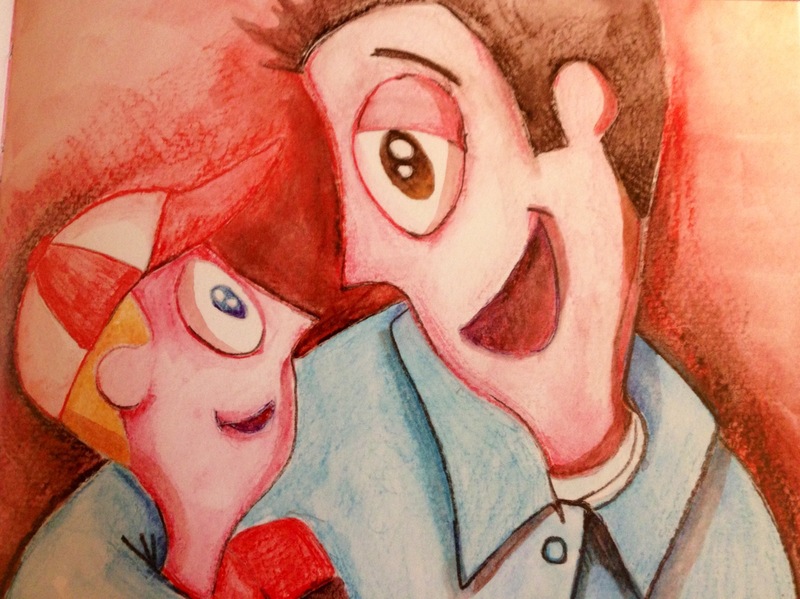 Using wonderful illustrations that look drawn by a child and almost real enough to touch the crayon wax and words that fill your mind with awe and lead you through a rational discovery through the known ideas of science to the abstract thinking in a step by step path to the only conclusion that makes sense of a person who chose to create the world and has the power to do it. You end with a pretty powerful answer to that all-important question: How Do We Know God is Really There? The book’s scientific content does seem a bit weighty for very young children, but it can be a good read-to-me book for five to eight year olds and a good read together book for up to about ten or eleven with some children. The concept though can be used in conversations beyond that age level. Many young children and some special needs children may not get all the deep content the first time, but they will get the gist that can be grown through repeated readings as they grow older. The analogy to to rewinding a video is a humorous way of toning down that weighty science material. if it isn’t enough, the idea might lead you to something even better that your child will understand, so don’t fear giving this book a chance. You can find this book on Apologia’s web site to get more information or to order. The price is $16.00 for a durable, glossy, full-color hardback copy. That is affordable, but is it worth it? Three parents that I asked to read the book felt it was a great way to handle this tough question. 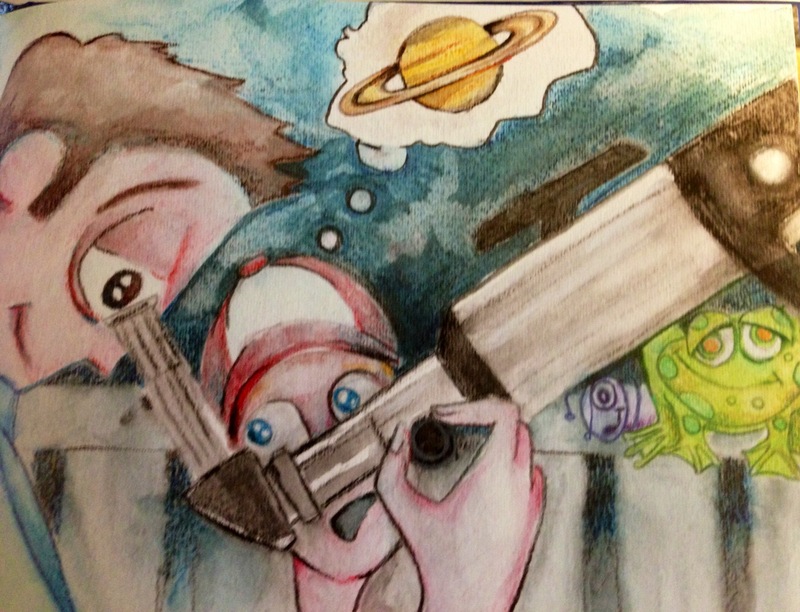 Two students I read it to, including one in ASL, got really big-eyed and curious and really loved the pictures. The book got even the four year old who happened to be listening, too, talking about how “God is so big and can do anything.” That delight was enough for me to make it a part of our library permanently.